The vinyl edition was cut directly from the DBX187 encoded 1/4" analog stereo master tapes. NOT from a digital transfer. The digital transfer was done in 2007 which was used for the cd edition, but since the tapes are in great condition we used them again for the 2012 vinyl cutting. You know You Can't Do That Onstage Anymore, volumes of times but what you can do at your next picnic with your friendly Playground Psychotics—always soooo Ahead Of Their Time that is almost annoying—is treat yourself to a large orchestral snack of The Yellow Shark. Whenever the question is Have I Offended Someone? you won't need an ocean of Läther to find that Mystery Disc. You will know the answer in all the Lost Episodes and in each, every and all the Finer Moments. Hot on the heels of the release of "Road Tapes, Venue #1" comes news about yet another double album: "Finer Moments", to be released December 18th. Got it today (bought in Vienna). 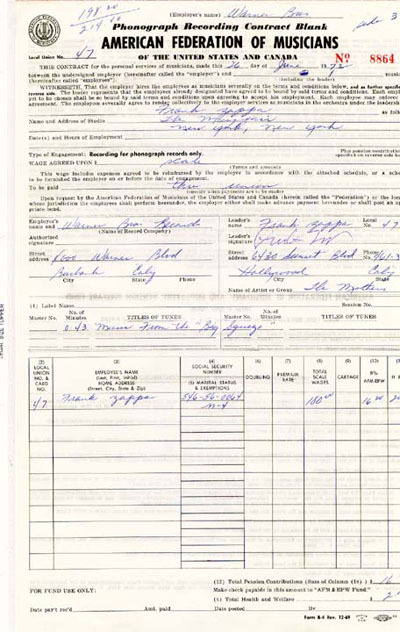 These first four tracks Recorded Live on 6.6.69. Royal Albert Hall, London, EMI Recorders Remote—1/2" 4-track analog tape (15ips). Special thanks to Charles Ulrich. When I checked around the time Finer Moments came out, it seemed that Old Curiosity Shoppe did not match the audience tape from Chicago May 71. My guess is that it was more likely they would perform BTM twice in the same night in that early phase in its development when it was a shorter piece. It could also be from another date, but since there are so few tapes of the Bob Harris #1 lineup I doubt we can find out much else. The Sailor's Hornpipe (traditional)—see http://en.wikipedia.org/wiki/The_Sailor's_Hornpipe for more info on that. 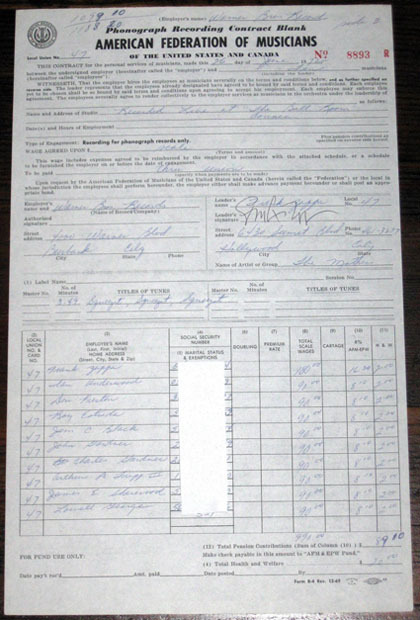 See notes on Criteria Studios, Miami, Florida, c. February 1-7, 1969. Add approximately 21 seconds for the US Version of The Ark. Recorded live at "The Ark," Boston, Mass. Uncle Rhebus is second part of the Uncle Meat/King Kong medley, and ends with Piano/Drum Duet, which used to be part of Piece One a.k.a. Like It Or Not, later to become the Redneck Eats section in Bogus Pomp. At precisely 12:01 into Uncle Rhebus is "Baked Bean Boogie" from YCDTOSA #5 but this time it goes on till the end without a fade-out . . . So, Uncle Rhebus is an edited version as this should be at 23:25 on King Kong (instead of the awful noise) . . . The beginning of Uncle Rhebus is really the KK part at 8:01 on The Ark. Recorded (1" 8 Track Analog) September, 1968, Sunset Sound, L.A. The first thing that struck me upon listening to the track was how much it reminded me of the percussion added to the An Evening With Wild Man Fischer album. I did pull out the original LP of that album and looked at the liner notes. 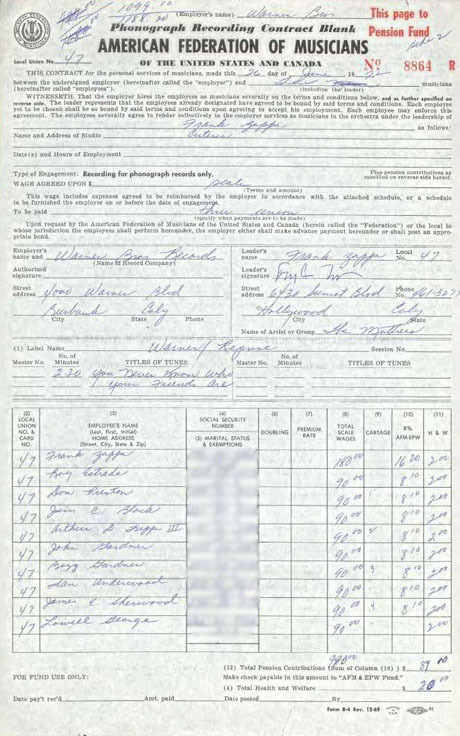 The recording info is the same year and location. See also notes for "Waka/Jawaka" on Quaudiophiliac (2004). 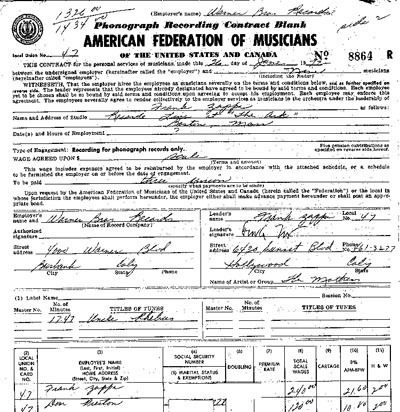 Frank Zappa 1972, American Federation of Musicians contract, with Warner Brothers Records. The session for, "Pumped and Waxed". The contract is signed by Frank himself. 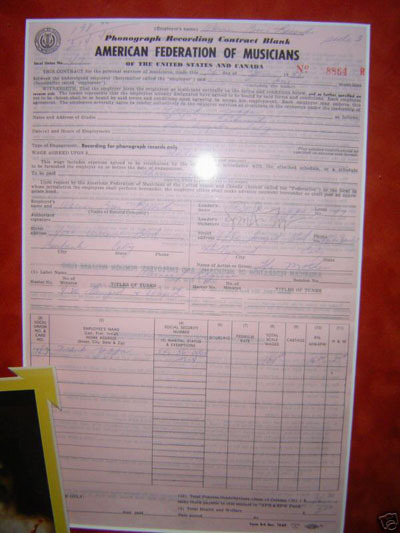 Musicians Contract for the Mothers of Invention. 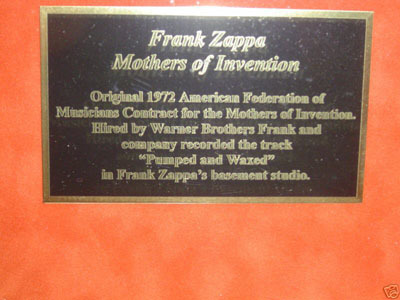 in Frank Zappa's basement studio. 4. "There Is No Heaven From Where Slogans Go To Die"
See notes for "You Call That Music?" on You Can't Do That On Stage Anymore Vol. 4 (1991). See notes for "Let's Make The Water Turn Black/Harry, You're A Beast/The Orange County Lumber Truck" on You Can't Do That On Stage Anymore Vol. 1 (1988). (*) There are some seconds of overlapping between the studio and live recordings. Name and Address of Studio: Recorded Live at "The Ball Room" Connec. 1972 Stereo Tweakage by FZ with Kerry McNabb, Paramount, L.A.